I know, it’s only the end of October… why am I talking about Christmas already. But because Christmas is my favorite time of year and Nolan’s at a super fun age this Christmas, my plotting planning had to start early. 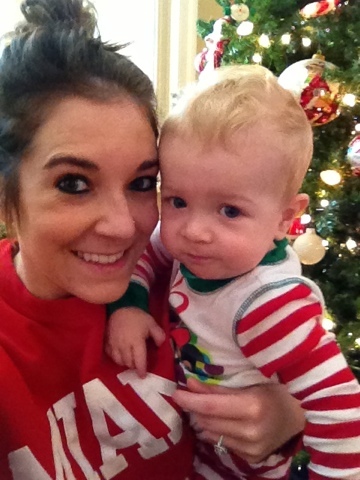 When Nolan was born, we started a few different holiday traditions. And although he’s too young to probably ever remember them, we have pictures and videos for him to look back on and see that we’ve been doing them ever since the beginning. 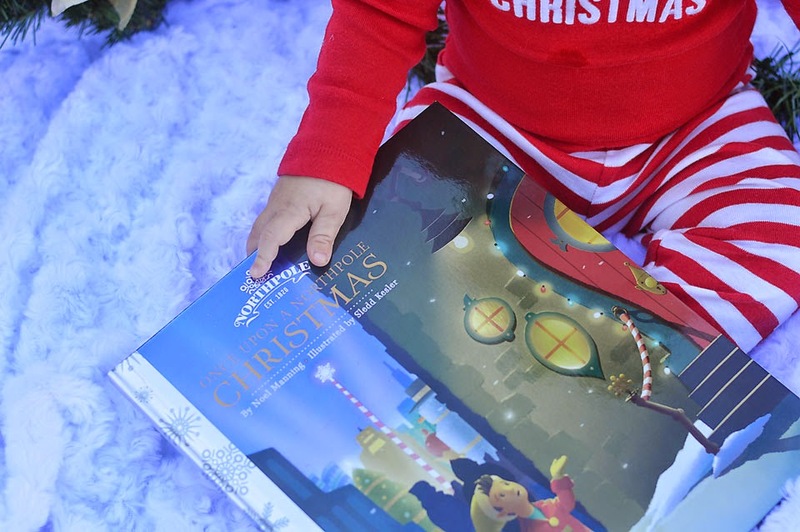 These traditions include opening and reading a different Christmas book beginning December 1st through Christmas Eve, opening new Christmas pajamas to wear to bed on Christmas Eve and of course, a little Elf on the Shelf action. But this year needed to be extra special. 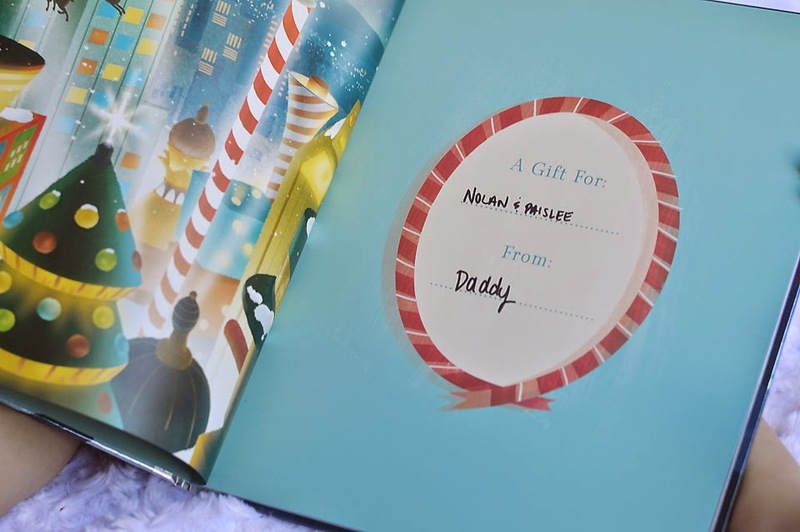 With my husband being deployed, we wanted Nolan to know that even though his daddy is far away, he’s still with us in spirit for the holidays. We will also be in Ohio over Christmas to spend the holidays with my family and Santa has to know where to find us, right?! 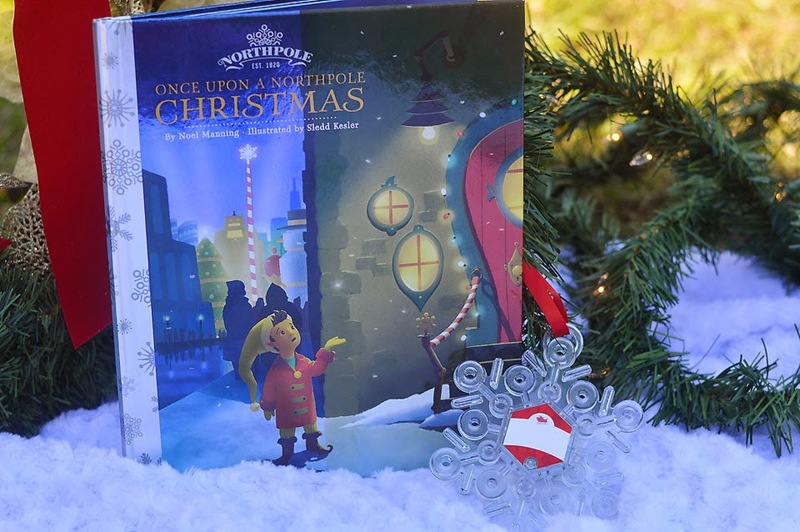 This book is all about the magic of Christmas and comes with the right tool to let Santa know where you are on Christmas Eve. By simply holding the button down, it will light the way for hours so that Santa can deliver the gifts that my kiddos will hopefully be getting…(if they’ve been good…). 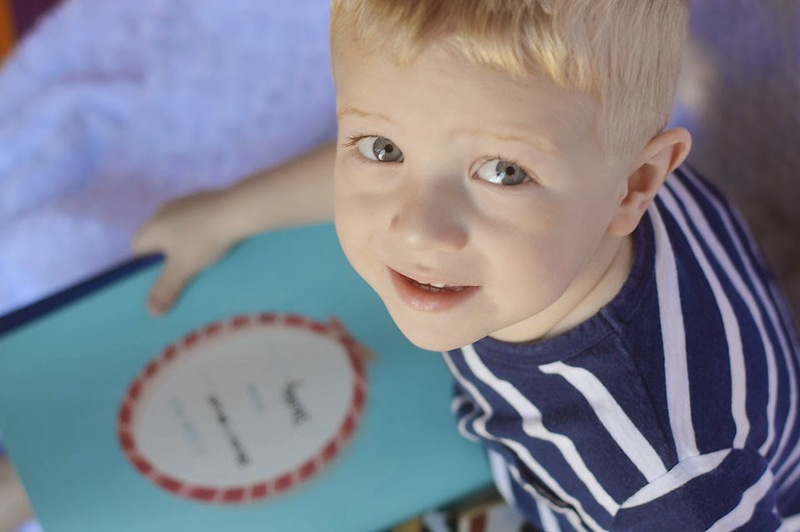 This book and beacon came from Daddy so that they know despite him being gone, he’s still thinking about them everyday and with us in spirit. 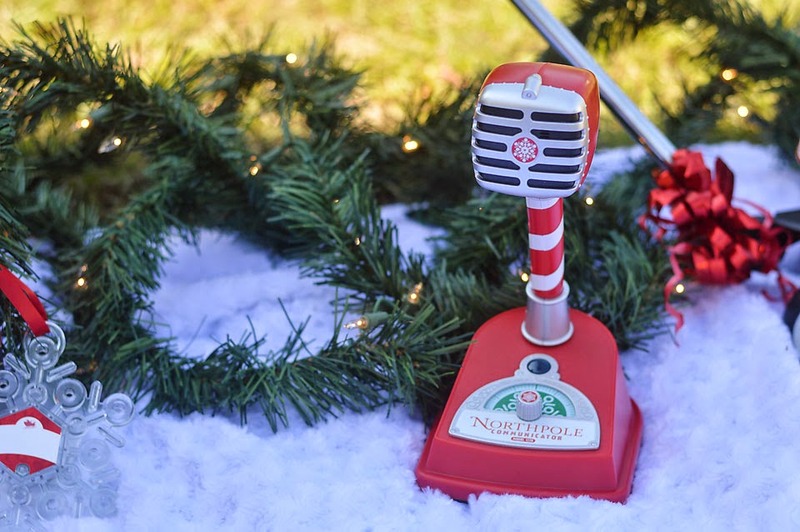 We’re also super excited about the Northpole Communicator! 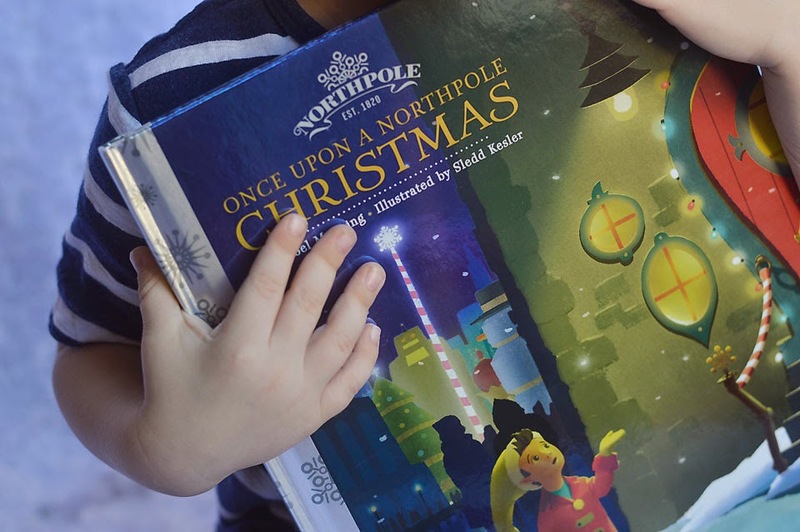 Going along with opening a Christmas book and reading it every night, this will allow us to call and communicate with someone at the Northpole everyday until Christmas. Nolan’s already been dying to talk to someone on it and I keep telling him he has to wait! And even when he calls now, the elves tell us to call back later.. it’s not time yet! He will be over-the-moon excited when he calls in on December 1st and gets a response! 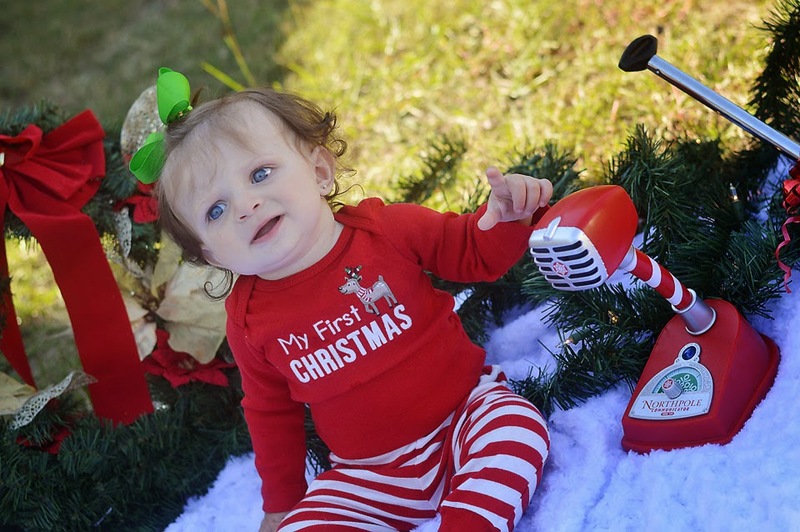 Christmastime is magical. 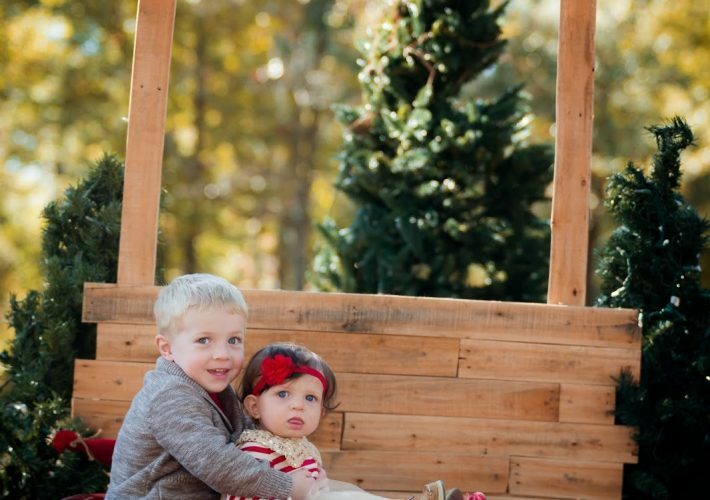 Obviously, the reason for the season is the birth of Jesus but for kids, the magic also lies in Santa and the wonderful things that happen during this time of year. 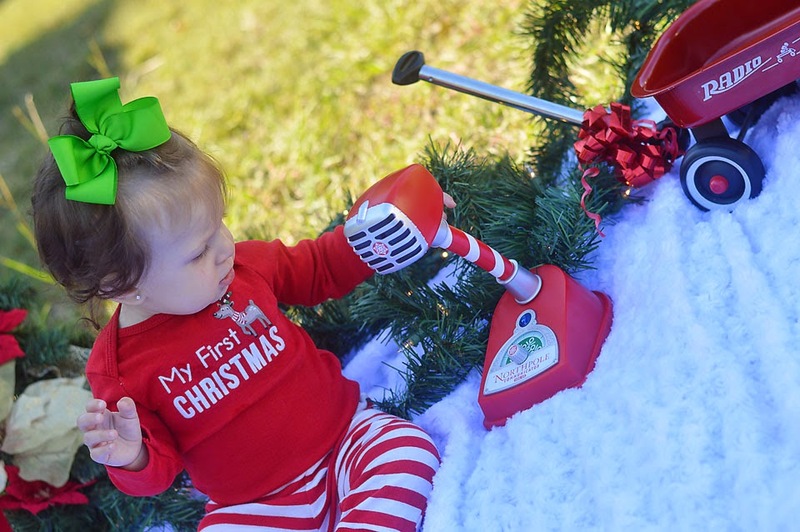 The music, the decorations, the toys, the snow… these are all things I remember from my childhood and I want to give my kids the same experience I had. And I want them to be able to be kids for as long as they can. 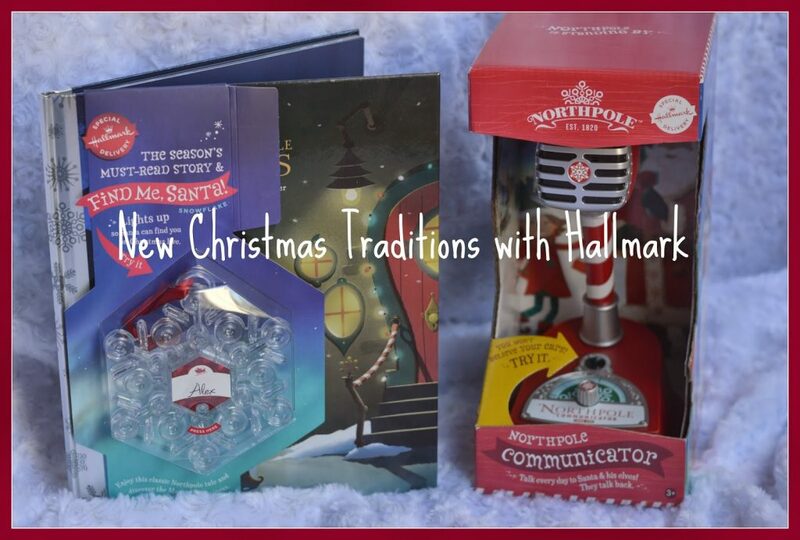 Want to win a Hallmark Northpole Gift Pack? Just enter the Rafflecopter giveaway below! 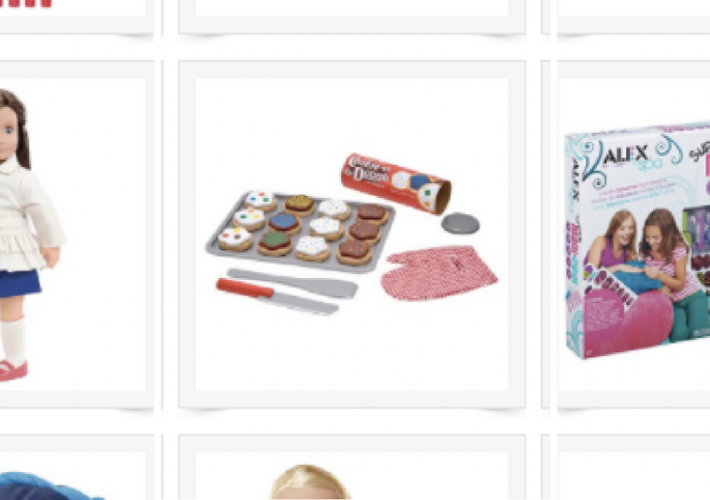 And if you don’t win, you can purchase these exclusive items at Walmart beginning November 1st. Good luck!